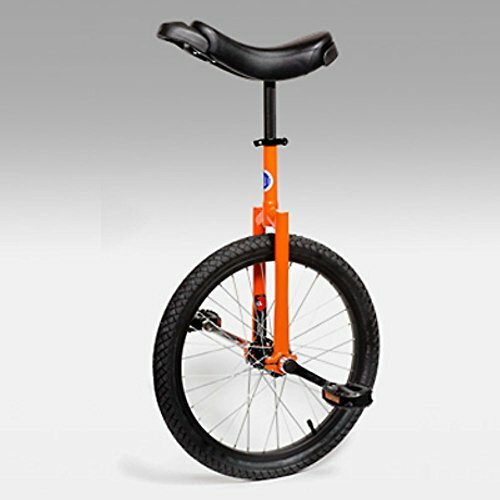 Beginners and casual users will appreciate the total versatility of the Club 20 inch Freestyle Unicycle - Orange. 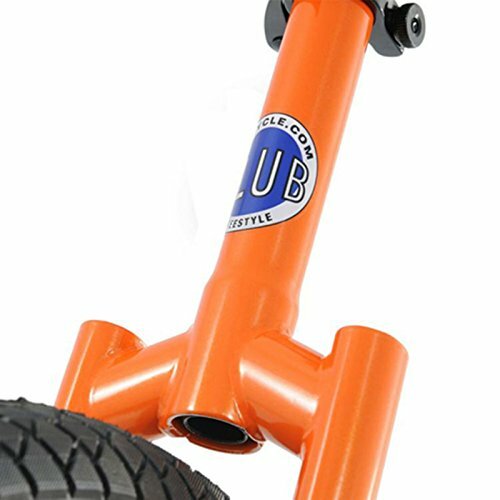 Built for all types of riding, except jumping and advanced freestyle, it's got a strong steel frame finished in cool Orange, and is built to handle various types of terrain while absorbing impact and keeping the rider safe and off the ground. Great for casual rides or fun competition, this unicycle includes a 20-inch high-performance tire, strong aluminum components, a Club-style saddle, and more. Assembly is required and can be done in 30 minutes or less with the following procedure: Cut seat post if desired, using a hack saw or pipe cutter Install seat post onto frame Place wheel in unicycle frame Attach pedals to crank arms Specifications Comfortable Club saddle 25.4mm x 300mm chromed steel or aluminum seat post with 4-hole rectangular mounting bracket Seat post clamps in place with aluminum Quick Release clamp Orange 20-inch Nimbus II steel frame with 40mm stamped maincap bearing housings 36-hole steel hub with cotterless CrMo spindle; 100mm measurement from center bearing to center bearing 14G. 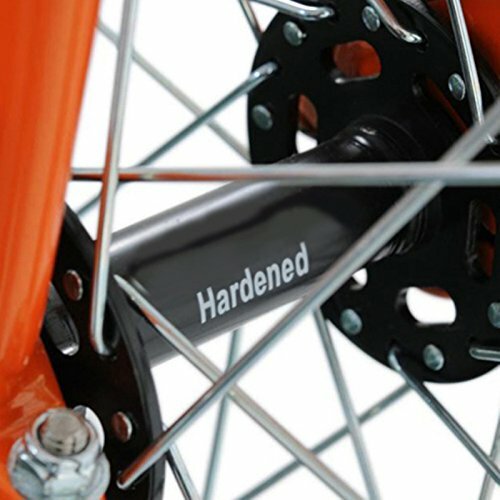 Stainless Chrome wheel spokes Single-wall aluminum rim Rubber rim strip 20'' x 1.95-2.125'' tube size 20'' x 1.95'' Kenda Kikzumbut tire 114mm chrome steel crank arms Plastic pedals with 9/16 threads Approximate cycle weight: 11 lbs. Nimbus II orange steel frame. 114mm chrome steel crank arm. Comfortable Club saddle. 25.4m x 300mm chromed steel or aluminum 4-hole seat post. 36-hole steel hub w/ cotterless CrMo spindle.